NuFlow Phoenix proudly serves business leaders in Chandler, Arizona with advanced vent stack lining technology options for faster, more reliable results. We have innovative options to rebuild vent stacks to perfect condition in just hours at a fraction of the cost of standard methods. No matter what type of businesses reside in your facility, we can provide quality service with a minimum impact. Prior to the advent of pipe lining solutions, a leaking vent stack had to be removed from its mounts and replaced to correct the problem. The service provider would open holes in the drywall or firewall on multiple floors to expose the hardware affixed to the stack and each connection had to be disconnected. Then the pipe had to be removed, which was often more difficult and time-consuming than it was hoped. Meanwhile, building tenants – employees, customers, or apartment residents – had to deal with all of the dirt, noise, and disruption that came with the project. As the owner or property manager, you had to juggle the complaints of the frustrated tenants, the repair crew’s needs, and your own business activities until the project was over. Fortunately, NuFlow Phoenix now offers vent stack lining, which can repair your vent stack right in the wall with much less noise, dirt, and inconvenience for your tenants. 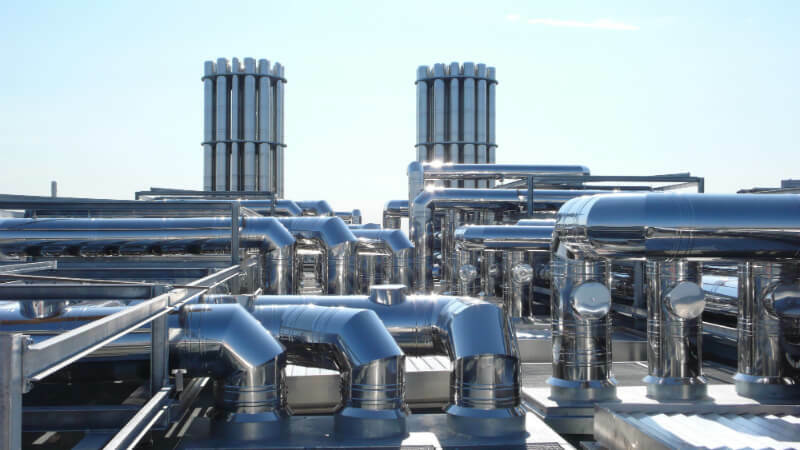 We dramatically reduce the adverse effect of a vent stack repair on residents, employees, and clients, protecting your business and making the process much less unpleasant both for both and for you. Our modern technique uses tools that fit inside of the vent stack to restore it from the inside, so there’s no need to cut multiple holes in the walls. To complete the repair, we insert a liner covered with epoxy through existing openings in the pipe. The tube is inflated, and the epoxy is allowed to cure to form a new pipe against the inside of the old one. The liner seals the vent stack and restores it to better-than-new condition, eliminating water leaks and unpleasant odors instantly. Vent stack lining takes twenty-four hours or less, and it’s completed out of sight of employees, customers, or tenants so there’s no exposure to waste or odors that often make the process unpleasant for those nearby. In addition, relining costs much less than replacement, making it easy on your budget as well as your operations. NuFlow Phoenix’s vent stack lining solution is appropriate for a wide variety of applications: apartment communities, healthcare facilities, commercial offices, and industrial settings, just to name a few. High-rise apartment communities are particularly benefited by lining rather than replacing a vent stack. With homes impacted by the repair process, your clients are not only frustrated but also at risk of exposure to biological hazards that could lead to health concerns. Vent stack lining restores sanitary conditions quickly to keep your residents safe and satisfied. NuFlow Phoenix has the most effective, affordable vent stack lining solutions in the Chandler, Arizona area. Call today to learn more about how we can help you!